Event Performers and Technicians Welcome! Our photoshoots are designed by professional photographers and energized by our trained entertainers. We’re looking for organized and personable event Technicians and charismatic Performers. A love of FUN is essential for both! Are you confident, approachable, and enthusiastic? Put that bubbly energy to work at social events with our team of Entertainers and Photographers! At Studio Booths we host high energy entertainment photoshoots with unparalleled interactive guest experiences. 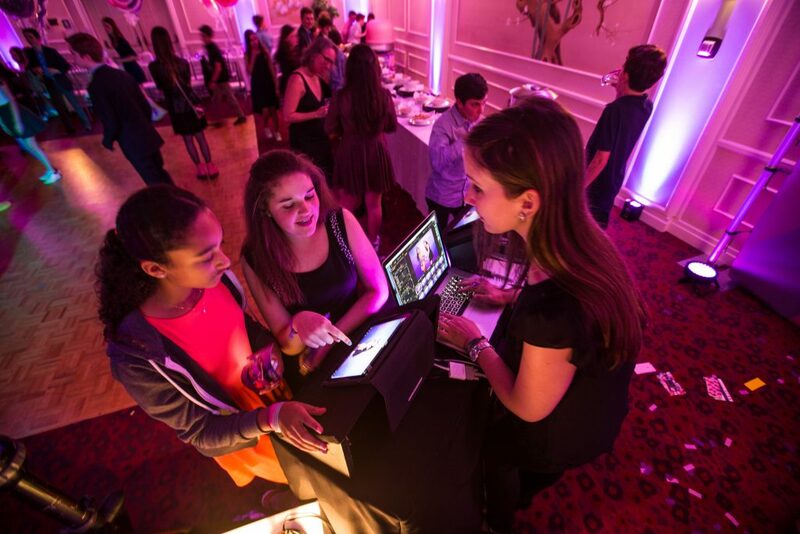 From corporate installations, red carpet entrances, weddings and birthdays to the most unforgettable mitzvahs you’ve ever witnessed, our styled photoshoots challenge the expectation of the modern photo-op! An ideal Entertainer is a performer with experience in improv or interested in developing their improvisational skills. Valuable skills include the ability to memorize poses, think on your feet, and project energy! The art of entertainment is a developed skill and candidates must be open to spontaneity and honing their creative traits. In addition to socializing, this role is very hands on. Entertainers assist in staging photoshoots and interacting with guests throughout our parties. The events industry is unpredictable so candidates must be timely, patient, professional, attentive to detail, and have a team mentality with enthusiasm to help where needed. Staging & Striking: Setting up and breaking down sets to support the photoshoot lead, organizing prop tables, steaming drapes, taping cables, loading & unloading cases, making fun confetti messes & then cleaning up those messes! 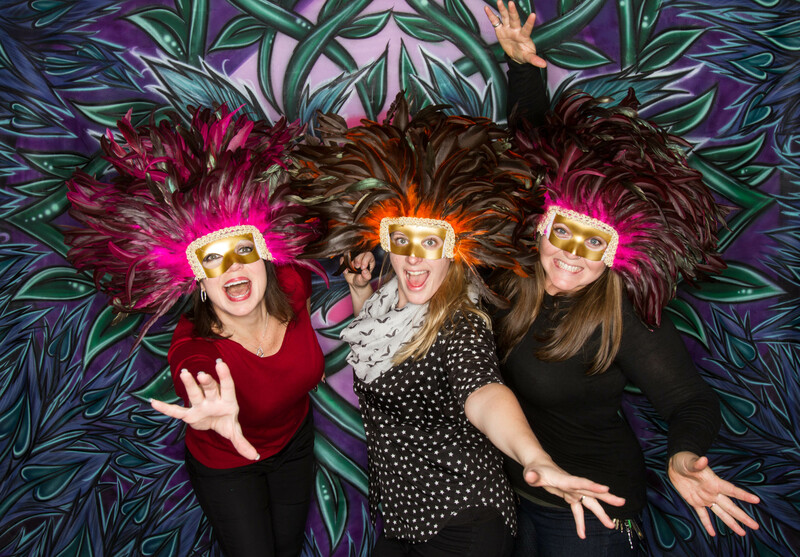 Socializing & Motivating: Welcoming guests to the photoshoot, answering questions, helping guests select props, snapping selfies, taking photos with guests for encouragement, giving feedback and being patient with attendees, encouraging participation. Directing & Projecting: Setting the tone, projecting energy and confidence, dressing up, being shamelessly silly, endurance partying, commanding the attention of groups, posing people, challenging guests in the photoshoot, reading people and spontaneously and creatively responding to them, providing instructions for souvenirs and downloads, giving high fives, fist bumps, and hugs when needed. Observing & Supporting: Monitoring incoming imagery, tracking props, finding opportunities for fun imagery, anticipating guests, listening to guests needs, supporting the photoshoot lead. Looking for highly organized and friendly technicians for setting and striking events and interacting with guests while working our photo station during parties. This role requires prepping and packing for photoshoots, working with event coordinating teams to set up per event specifications, collaborating with our entertainers, attending to guest needs, and striking sets after events. Must be very detail oriented. Photoshoot Prep: Packing and preparing for photoshoots, loading and transporting gear. Staging: Loading in equipment and gear, setting up cameras and lighting, setting up sets, collaborating with on site planning team for load in and staging requirements, organizing prop tables, steaming drapes, taping cables, etc. Monitoring & Printing: Monitoring the computer station, selecting and printing souvenirs, helping guests select images on tablets. Socializing: Welcoming guests to the photoshoot, answering questions, supporting entertainer responsibilities, giving feedback and being patient with attendees, encouraging participation. Striking: Breading down sets, packing, and set cleanup. Making sure load out and equipment transport goes smoothly.